Do you need help getting your book listed in the Apple iBooks? We can help. For the first three steps explained below, you don't need a mac. 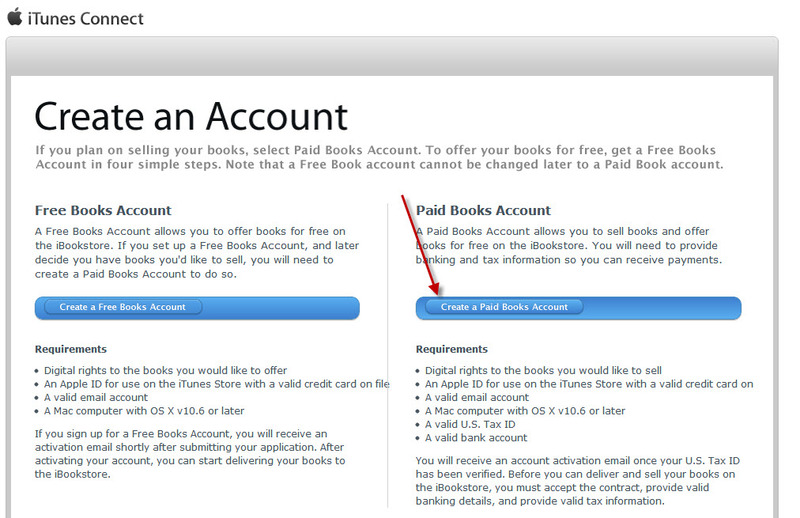 But in order to publish your title(s) to your account, you do need a mac (which you've likely hired us to do). You must have an existing valid Apple ID (by valid, I mean that Apple has your credit card on file). If you've ever purchased anything from iTunes, you've likely got a valid ID. If not, you will need to create a new Apple ID. If you need help setting up your tax & banking info, here is Apple's tutorial and a video tutorial on the topic. 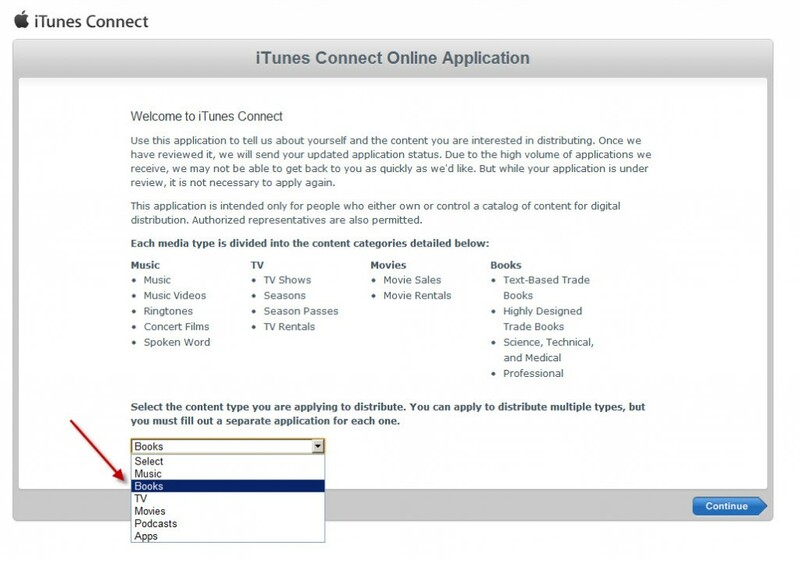 Note: You may have to be logged in to your iTunes Connect account to view it. Note: Apple also provides a video walk-through on how to setup your contracts, tax id, and banking info here. We can't proceed until this step is complete. We need your ePub file (unless we created it for you already) and cover file (jpg or pdf). We need you to select up to 5 categories. We need your title/subtitle info, description, author & any other contributors to be listed, page count (if in print or make an estimation if it's only an eBook). After we've setup your title, usually within 1-2 days you can expect to find it available in the Apple iTunes store for sale. You can search for your eBook in the iBookstore here.